Manufacturer & Exporter of Pressure Vessels. Our product range also comprises of Gas Plants, Industrial Plants and Ammonia Cracking Units. Backed by our world-class infrastructure, we are offering Pressure Vessels to our valued customers. These vessels are designed precisely and offer optimum efficiency in storing gases at ambient temperature. Manufactured using premium quality raw materials, these vessels are in compliance with the global standards and can be availed at market leading prices. 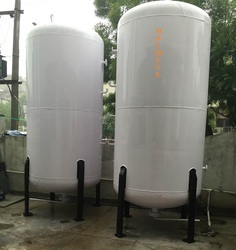 These vessels are offered for storing LPG, ammonia, propane, hydrogen, nitrogen, Co2 and air.